The day after my expedition to Antarctica I awoke around 5am for my bus ride from Ushuaia (Argentina) to Punta Arenas (Chile). I was at the bus station at 6:45am for my 7am departure. 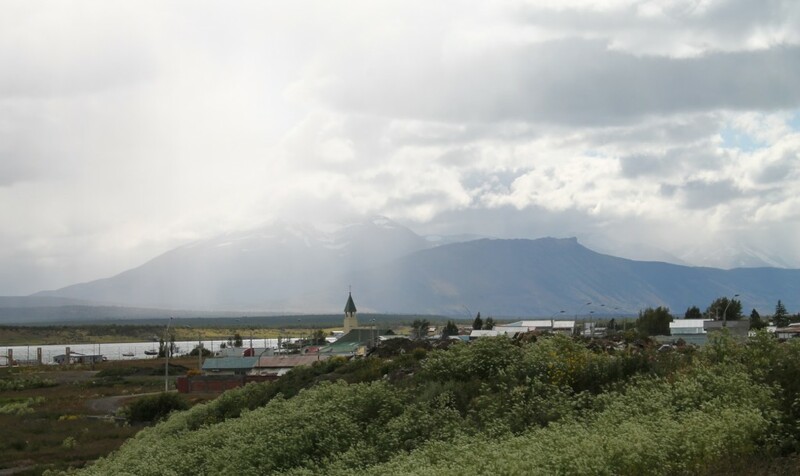 I grew quite close to Ushuaia and felt a little sad to leave this beautiful town, at the End of The World. The bus ride with Tolkiyen (pronounced ‘Tolkishen’) from Ushuaia was beautiful. The initial hours are spent riding through the mountains of Tierra Del Fuego on the Argentinian side before you have to pass Argentinian border control about 2 hours later. We spent over an hour at Chilean border control where we had to get our passports stamped, and send our daypacks through an X-Ray machine. A sniffer dog searched through the larger luggage in the luggage compartment in the bus. The luggage that caught the dog’s attention also had to go through the X-Ray machine. Luckily my bag didn’t attract any attention. The Chileans are very strict about bringing any fruit, meat or their derivatives into the country. An interesting part of the trip was crossing the Strait of Magellan. There was a little cafe on the Tierra Del Fuego side that the passengers got off to get sacks from and use the restrooms at. Ushuaia is on an island and we need to cross the strait to get to the mainland. We did this by boarding a ferry that carried us passengers and the bus across the strait. We saw some interesting wildlife on the strait while crossing. On the bus journey and in Punta Arenas I met with my room mate from the Antarctica cruise and a British girl teaching English in Colombia. 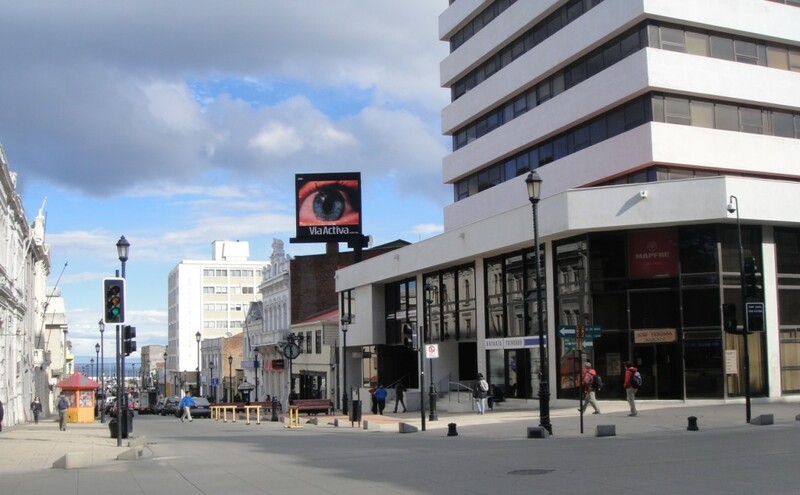 Punta Arenas is a very quiet, sleepy looking city. I was expecting to see more life in the world’s largest city south of the 46th parallel with a major port and airport serving it. Driving into the city it was the first time I had seen a dry dock yard for ships. I’ve heard and read about them, but it’s always interesting to see it. I stayed at Al Fin Del Mundo. It seems that the Chilean’s also feel that they can use the “End of the World” title, but I think that Ushuaia is more deserving of it. After drawing some Chilean cash at an ATM I had a late lunch at La Nino (King Fried Fish and Wedges). 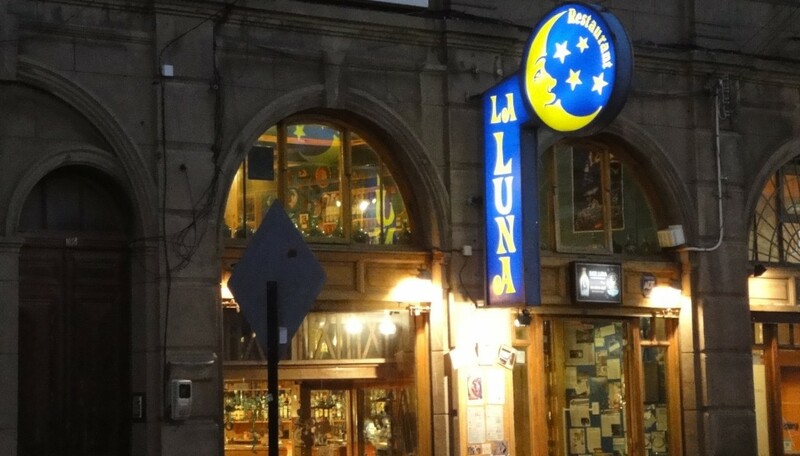 I relaxed that evening and then just went out for hot chocolate and a lemon pie from a local coffee shop before heading back to Al Fin Del Mundo, where I did some writing while watching Independence Day in the lounge, before sleeping at 01:30am. 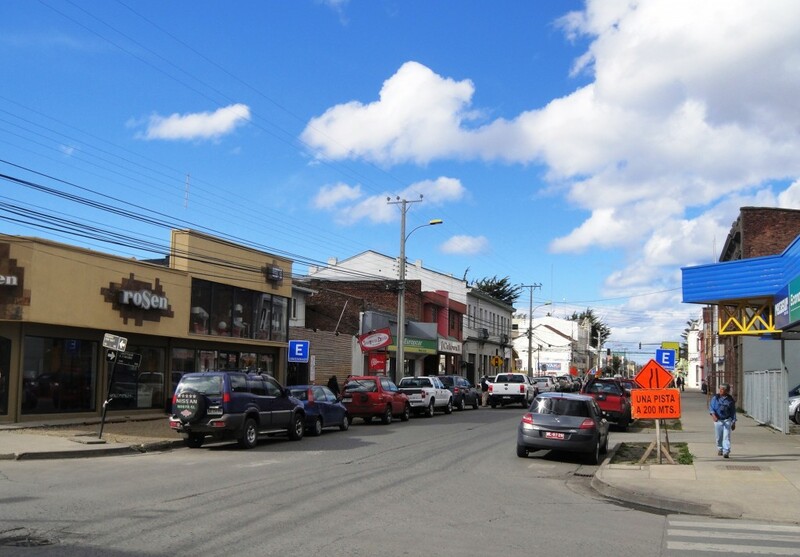 Punta Arenas is only good enough as a transit city. I don’t believe you should consider spending more than two days there. There are two relatively close colonies of Magellanic Penguins just out of town if you are keen on visiting. I just returned from seeing thousands of penguins in Antarctica and decided not to visit these colonies. I awoke to a grand breakfast spread on a central dining room table at Al Fin Del Mundo (in Punta Arenas). It’s great to wake up and sit with various foreigners at a single dining table for a meal. I then paid for my previous night’s stay and headed for the bus station at 10:30am for my 11:00am bus to Puerto Natales. I rode in quite a comfortable bus, where the seats recline approximately 45 degrees. The ride was uneventful except for a 20 minute stop by the police to search a few passengers luggage. You know that you are at the Gateway to Chilean Patagonia when you arrive at Puerto Natales. I would say that more than 90% of people at the bus terminal were wearing backpacks. 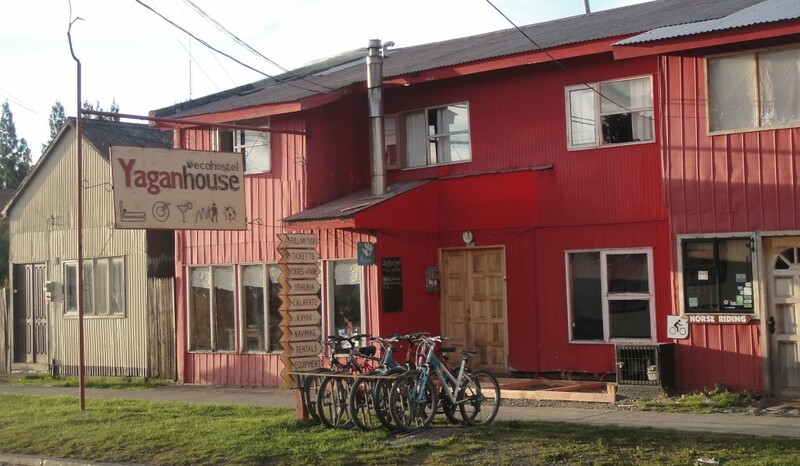 I took a short 10 minute walk to Yagan House on Bernard O’Higgins street in Puerto Natales. As soon as I checked in and left my bags I asked the receptionist to point me to a pizza place. She sent me to Mesita Grande 3 blocks away. This pizza joint is awesome and I ate there quite a few times. I also visited a local crafts market to do my essential shopping – i.e. look for magnets. And took in some of the scenery..
That night I met quite a few interesting people including a German guy at Yagan House who is working at one of the 22 German schools in Chile, and currently travelling with his mum through Patagonia. Thank you so much for this blog! I’ve been trying to figure out how we can get from Ushuaia to Puerto Natales to start a Torres Del Paine hike. I sent an inquiry to the transport company you mentioned Tolkeyen Patagonia. Did you have the option to not stay in Punta Arenas and go all the way to Puerto Natales in one go?